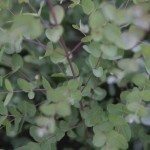 Silver princess eucalyptus is a graceful, weeping tree with powdery blue-green foliage. This striking tree, sometimes referred to as silver princess gum tree, displays fascinating bark and unique pink or red flowers with yellow anthers in late winter or early spring, soon followed by bell-shaped fruit. Read on to learn more about silver princess eucalyptus trees. Silver princess eucalyptus trees (Eucalyptus caesia) are native to Western Australia, where they are also known as Gungurru. They are fast-growing trees that can grow up to 36 inches in a single season, with a lifespan of 50 to 150 years. In the garden, the nectar-rich blooms attract bees and other pollinators, and they make a cozy home for songbirds. However, the fruit, while attractive, can be messy. If you are thinking about planting a silver princess eucalyptus, ensure you have a sunny location because the tree won’t grow in shade. Nearly any type of soil is suitable. Be careful about planting in windy spots, because the roots are shallow and a hard wind may uproot young trees. A warm climate is required, and planting a silver princess eucalyptus is possible in USDA plant hardiness zones 8 through 11. Water silver princess eucalyptus well at planting time, and then water deeply a couple of times every week throughout the first summer. Thereafter, the tree requires supplemental irrigation only during extended dry spells. Provide a slow-release fertilizer at planting time. Thereafter, don’t worry too much about fertilizer. If you think the tree needs a boost, fertilize the plant every spring. Be careful about trimming, as hard pruning may alter the graceful, weeping form of the tree. Prune lightly to remove damaged or wayward growth, or if you want to use the interesting branches in floral arrangements.